A new TENAA report surfaced on the web and it shows us that Xiaomi is working on a brand-new smartphone. The interesting thing about this smartphone is that it features an innovative design that has never been seen before! The upcoming smartphone will ship with a transparent back panel that makes it possible for people to see its hardware specs. Nonetheless, today we are going to cover everything there is to know about the new smartphone and give Xiaomi fans an idea of what to expect. Even though the TENAA report doesn’t mention the device’s name, we believe that it’s the upcoming Mi Note 4. 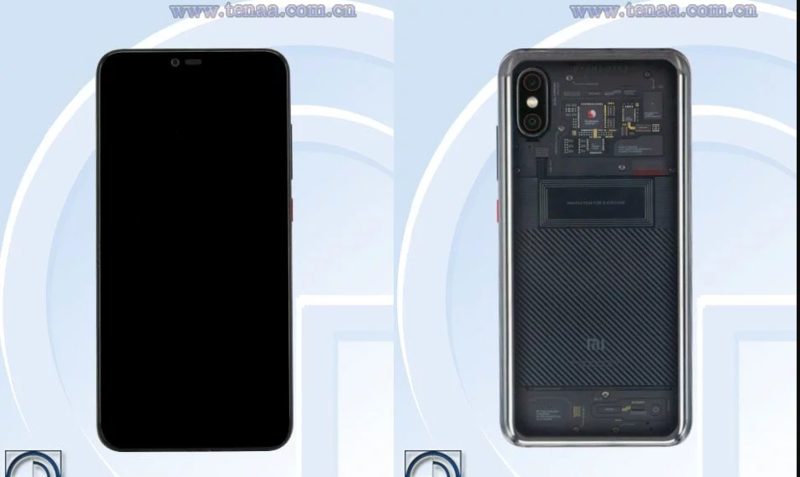 We should also note that the smartphone looks quite similar to the Xiaomi Mi Eight Explore special version which features a similar looking back panel. While the TENAA report didn’t confirm that this smartphone will be Mi Note 4, it did reveal what specs it will have to offer. From the looks of it, Mi Note 4 will be powered by an unnamed 2.4GHz CPU. The smartphone will also ship with a 20MP selfie shooter and a dual-camera setup made from 12MP + 12MP sensors. Moving on, the smartphone will be able to last for days on end because a 2,900 mAh battery will fuel it. One of the coolest features that has been unveiled in this latest TENAA report is the fact that the upcoming Mi Note 4 will feature an in-display fingerprint sensor. The reason we can tell this is because the pictures featured in the report show that Mi Note 4 doesn’t have a rear-mounted fingerprint sensor and there’s no other option left than to install the sensor beneath the display. We also have some bad news for Xiaomi fans, Mi Note 4 will not feature a headphone jack. Therefore, the smartphone will probably ship with a pair of wireless headphones.